What!!! You’re not familiar with a kohlrabi?? Well, you are not the first! 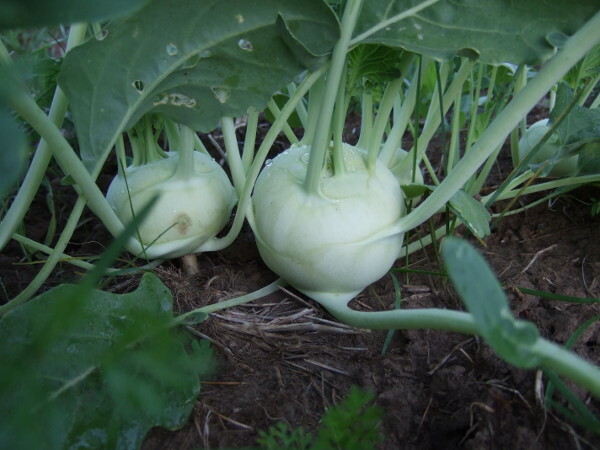 Kohlrabi look like a crazy vegetable, but they have oh so much potential! 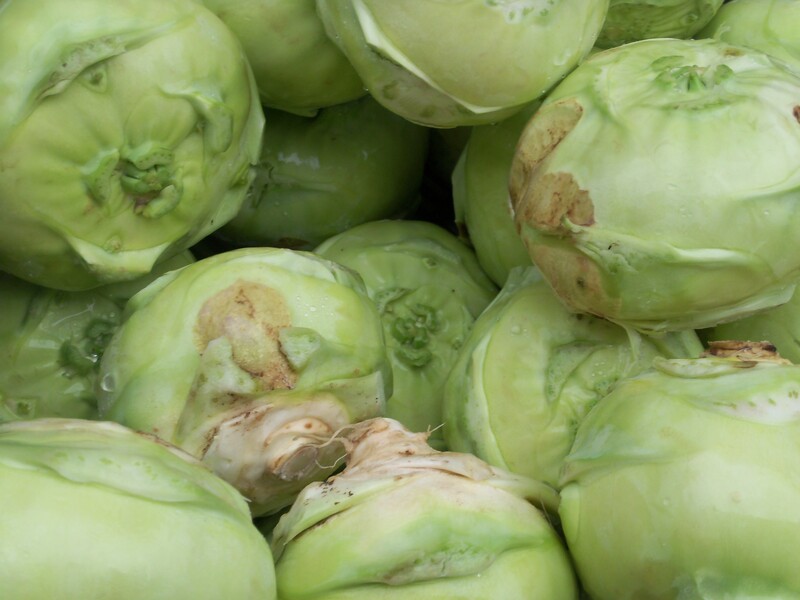 The word kohlrabi is German for cabbage-turnip (although Ryan would claim these as Czech). They really taste like a sweet cabbage with the crunch of an apple. Most often, we eat them raw – but first we peel the green ‘skin.’ They work amazing on a relish tray, and my kids like to dip slices in ranch or catsup (although the catsup thing is a little odd in my opinion). These babies are chalked full of nutrients, so try one while they are in season! So all of you Midwest folks know that we got a pretty good storm this weekend! 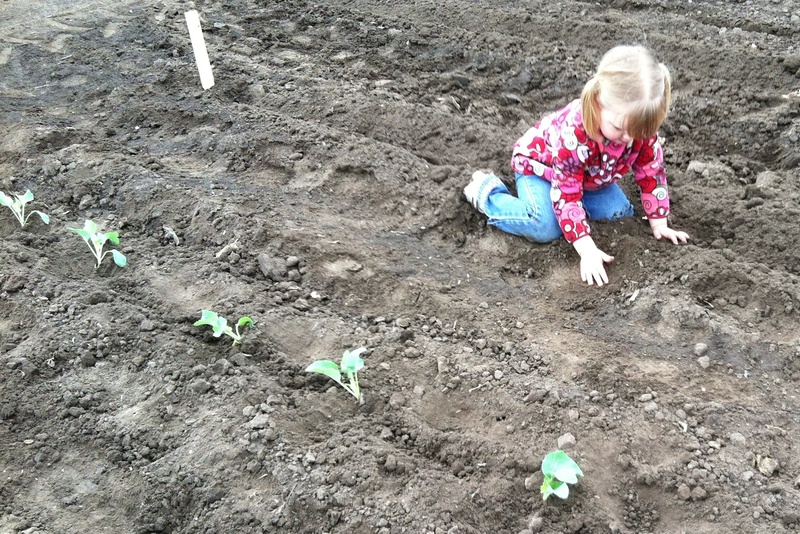 We knew the rain was coming early afternoon Saturday, so we planted broccoli, cauliflower and kohlrabi before the storm!! This is how you drop plants while holding a child! Ryan has some skills! 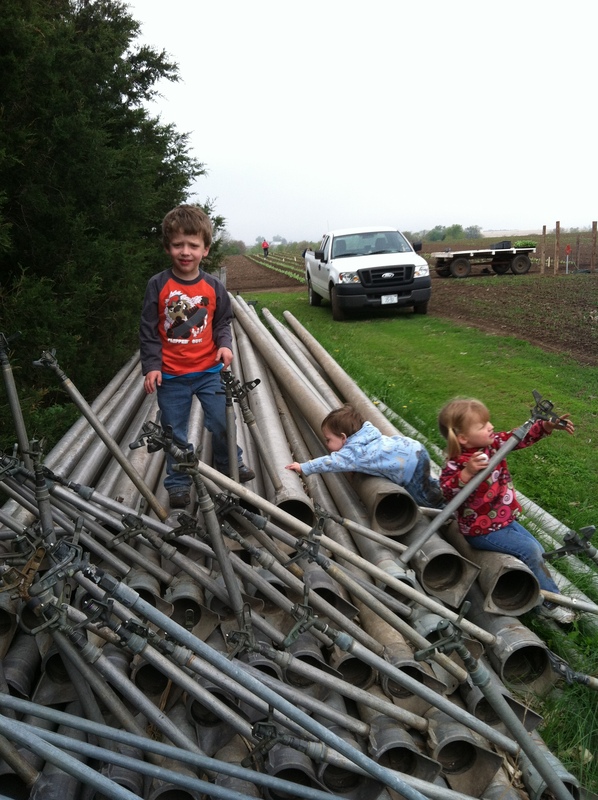 The children didn’t understand that we don’t need to move pipe today – there was rain coming! Margret likes to plant things too! They aren’t always plants though. These fabulous workers showed up to ride on the transplanter – little did they know that we were going to do this the old fashioned way! And at the end of the day, the small rugrats thought the plants looked pretty neat! Saute spinach onions and garlic in olive oil until soft. Meanwhile roll out pizza dough until thin, about 1/8 inch thick. Combine sour cream and cheeses. Once spinach mixture has cooled add sour cream/cheese mixture. On a large cookie sheet brush olive oil. Please dough on sheet. Put mixture in center of dough, top with sauce and fold over. Poke holes in the top. Brush top with olive oil and sprinkle additional parmesan cheese and minced garlic. Cook for 15-20 minutes until golden brown. Enjoy! Do you know what a CSA is? 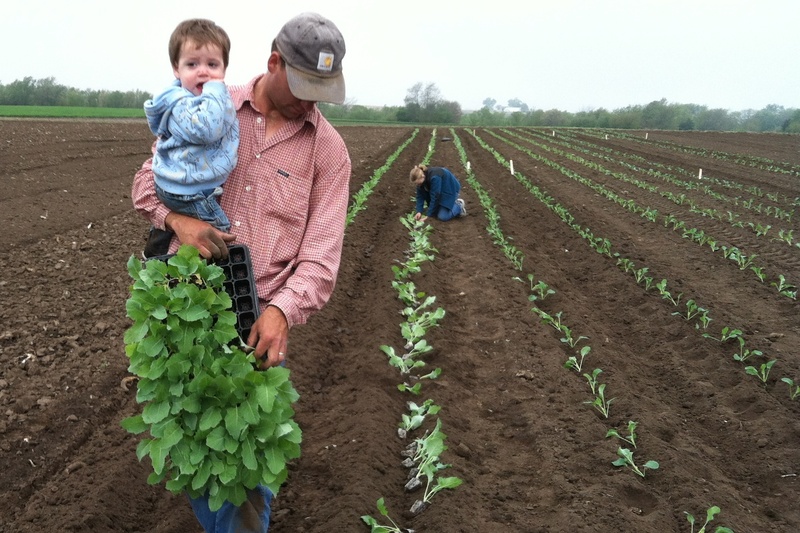 Community Supported Agriculture (CSA) is a partnership between you and your farmer. The CSA members provide a guaranteed market and the farmer provides weekly shares of fresh seasonal vegetables. This will be the first year Pekarek’s produce will be participation in a CSA. 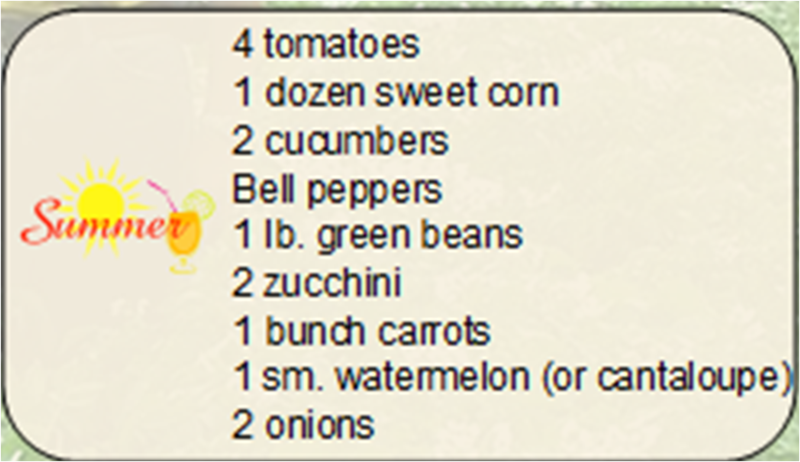 Pekarek’s Produce CSA involves you pre-paying for a full share ($20.00 per week) or a part share ($12.00 per week). Each week, June 6 through October 17, we throw in a few extra dollars worth of extra produce over the regular retail price, so you get a fantastic value for what you pay. Here are some examples of boxesour members might receive during different times of hte year (full share). The contents of the boxes will change every week based on what is available. 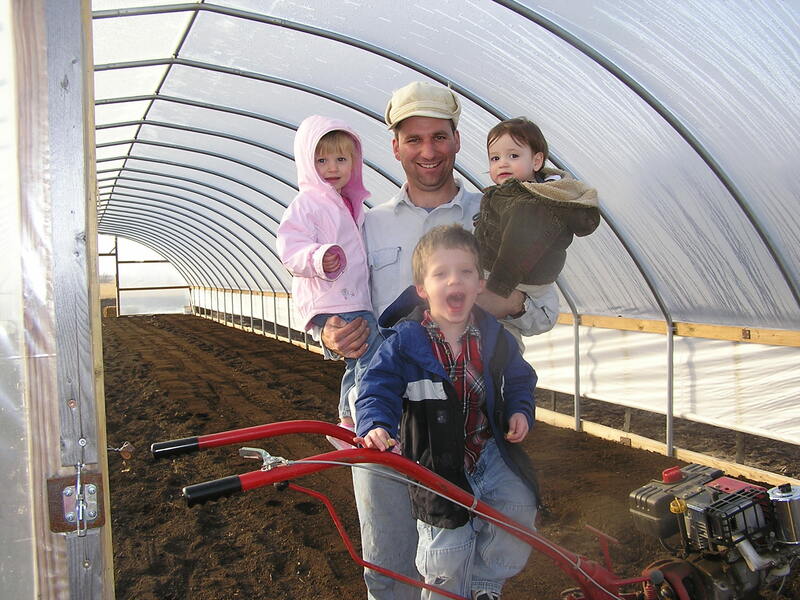 Pekarek’s Produce is the home of Ryan, Katie, Jacob, Margret, and Michael Pekarek. We are located 5 miles west of Dwight, NE in Butler County – about 35 miles northwest of Lincoln. 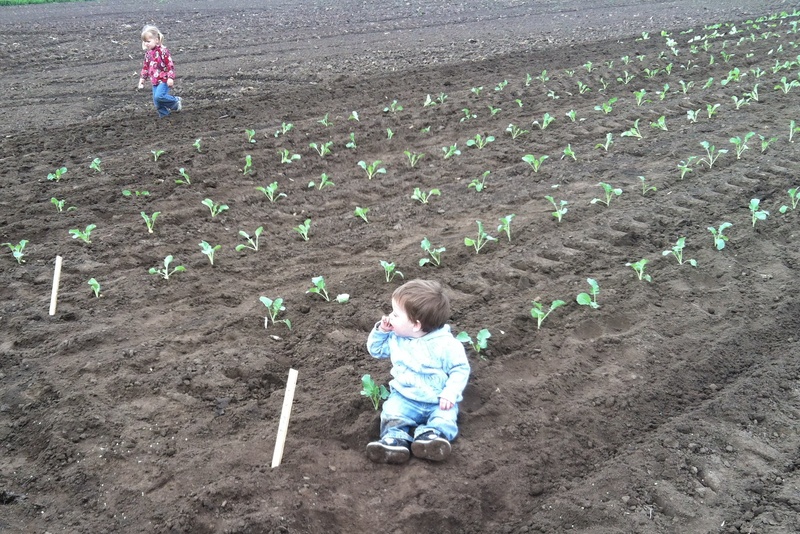 2012 will be Pekarek’s Produce 7th growing season. We grow several vegetables (See the Crops and Harvest Calendar) and are vendors at the Seward and Lincoln Haymarket Farmer’s Markets. The goal of Pekarek’s Produce is the production of high quality vegetables via sustainable methods. We proudly serve our customers only the best produce from our fields. Freshness, quality and dedication to sustainability keep us motivated. Crop rotation and cover cropping keep our soils healthy. Thank you for your continued support of our family farm! 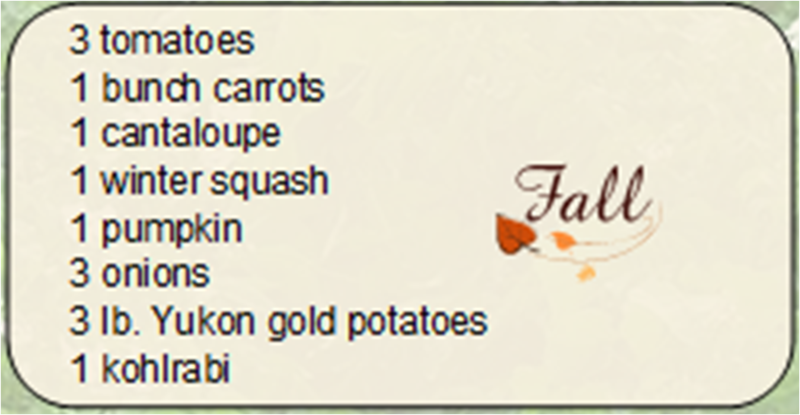 How do I follow the Pekarek’s Produce blog? How do I follow the Pekarek’s Produce blog? Simple. Just click on the at the top left hand portion of the page and select your settings.